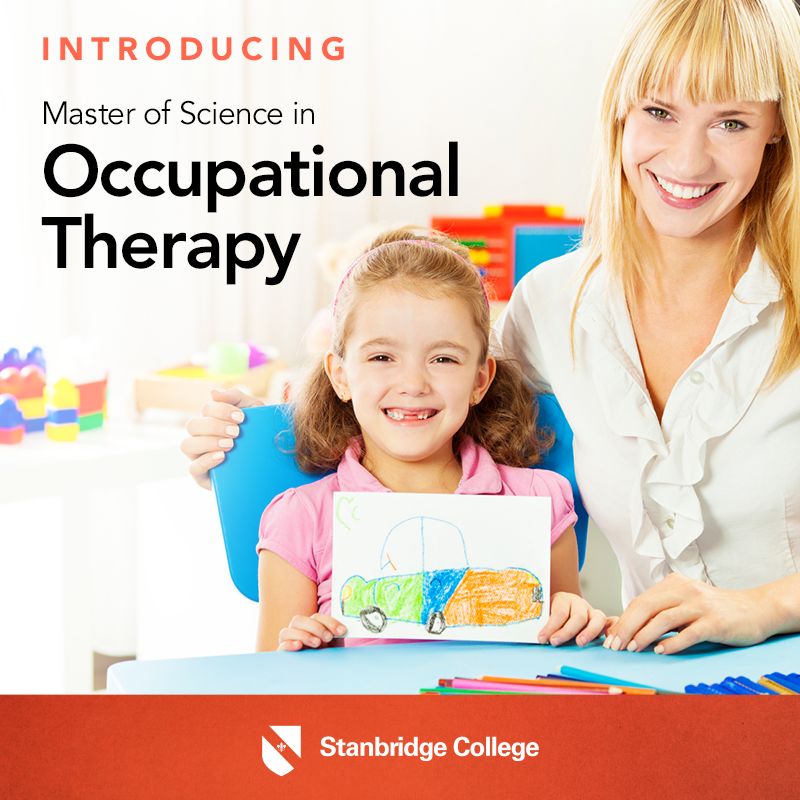 Stanbridge College, a technical college that offers Masters, Bachelor, and Associate of Science degrees and diploma programs in Allied Health and Information Technology, launched the first Master of Science in Occupational Therapy degree program in Orange County at its campus in Irvine, California. The 23 month program produces generalists in the occupational therapy field with a focus on treatment for pediatric, adult physical disabilities and mental health. The inaugural class starts on May 5, 2014. The program teaches students to work with persons across the lifespan, using everyday activities to help people reach a desired state of health and independence. By using simulated therapy environments on campus and at local clinical partner facilities, students are exposed to therapy treatments for clients with autism, dementia, mental illnesses, physical disabilities, and other disorders and illnesses. Four Therapy Skills Labs, located on campus, give students access to training equipment and settings realistic to professional occupational therapists including assistive-devices, adaptive equipment, therapeutic activities, and home-simulation areas. The Therapy Labs include a new Sensory Immersion Lab, a Driving Simulator Lab, and reproductions of daily living environments. Students also learn in an interdisciplinary environment as they work alongside students from the college’s Occupational Therapy Assistant Associate’s Degree program to understand how to work within a team of healthcare professionals. According to the U.S. Bureau of Labor Statistics, employment of occupational therapists is expected to increase 33% from 2010 to 2020. The increase in Alzheimer’s disease, Parkinson’s disease, cerebral palsy, autism, among other illnesses is cited as one cause for the high demand for licensed occupational therapists or OTRs. Established in 1996, Stanbridge College offers diplomas and degree programs in Nursing, Occupational Therapy, Physical Therapy, Hemodialysis, Veterinary Technology and Information Technology. Earlier this fall, the college launched the first Associate’s Degree in Veterinary Technology in Orange County. The Master of Science in Occupational Therapy program has applied for accreditation, and received “Candidacy Status,” by the Accreditation Council for Occupational Therapy Education (ACOTE) of the American Occupational Therapy Association (AOTA), located at 4720 Montgomery Lane, P.O. Box 31220, Bethesda, MD 20824-1220. ACOTE’s telephone number c/o AOTA is (301) 652-AOTA. Their website is www.aota.org. The program has submitted an Application for Candidacy, which is the formal application required in the pre-accreditation stage. Candidacy Status is not an accreditation status nor does it assure eventual accreditation.